Pasta has always been a children's favourite dish. 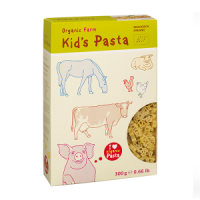 Pasta is highly nutritious and a great energy source for your growing baby or child. 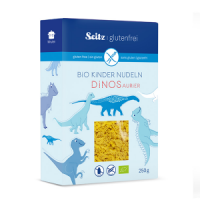 From 8 to 10 months your baby usually needs more lumpy food and this lovely shaped organic pasta can help to encourage chewing. Serve either with a vegetable sauce or just with some cheese. 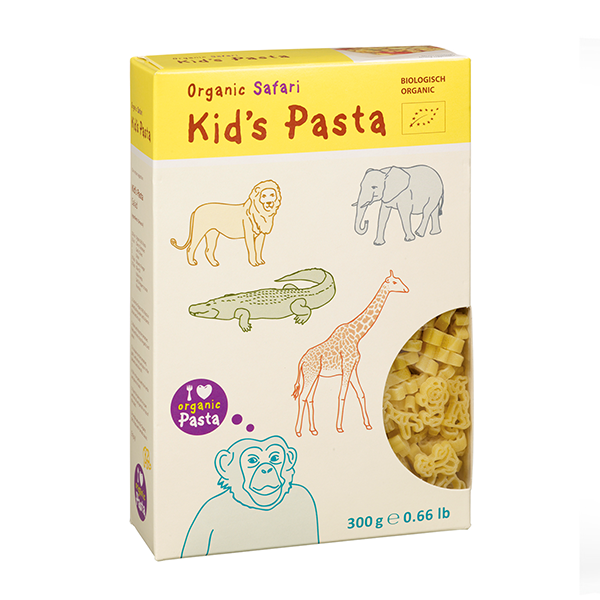 These delightful pasta animals keep their shape even after cooking - which makes it great fun to eat as your baby spots the animals he or she knows. Great value with 10 portions per pack! Contains gluten. Store pasta in the original package. 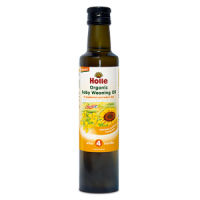 For extra protection, add the package to an airtight bag or container. 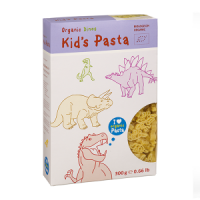 My LB likes pasta in general and I'm really happy I've found this cute-shaped pasta for children. The size is perfect, it's quick to cook. Highly recommended. Ideal for fussy kids. My toddler get so entertained with this pasta that without even notice all lunch/dinner is gone. The recipe that comes on the side of the box is very good as well. My 6 year old spotted this in a deli and absolutely loved it. Found it was priced so much more reasonably on ulula.co.uk so ordered another box, along with a similar product from another brand. I make a really simple dish by stirring a tiny bit of melted butter and a little grated cheese, then adding whatever leftover meat & veg we have in the fridge. It’s the only meal I don’t have to nag her to eat. The shapes are a great novelty but she eats it so quickly I don’t think she even notices!